Yes, you CAN freeze beets and after thawing these roasted beets taste just like you cooked them fresh which are perfect for salads, sides and other recipes. 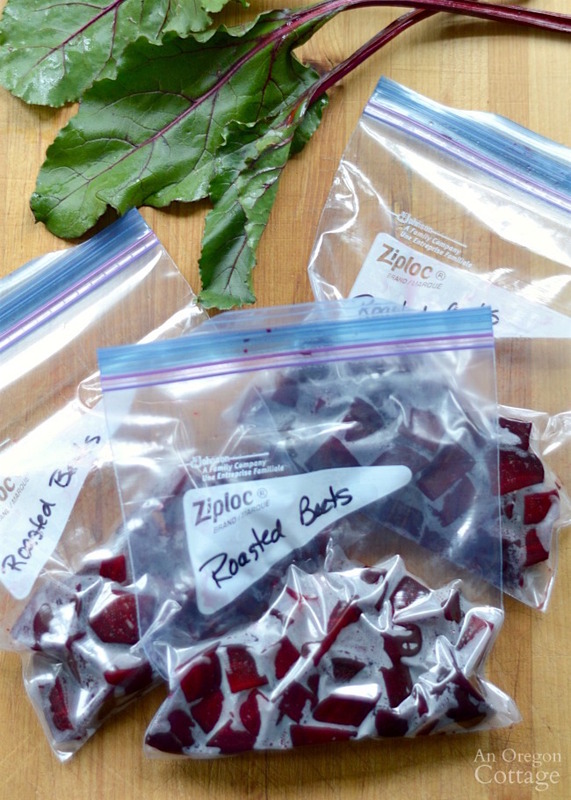 Freezing beets is a great storage solution for when you have a lot to take care of at once! But I’m the lone beet-liker (beet-liker? Well, you know what I mean…) in my family. The kids won’t touch them and Brian merely puts up with them. 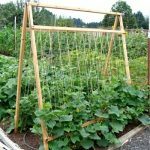 So I don’t serve them very often and I don’t grow a ton of them in our garden, just a couple of rows for me. Surprisingly, they tasted just as good after a couple months in the freezer as they did the day I roasted them. So I made my favorite salad with them, Roasted Beet Salad with Goat Cheese, and served it to company. Um, didn’t I just say beets are divisive…and I served a salad with beets to company? Yeah, I guess I didn’t get it- but in my defense, I thought I was safe because they were gardeners, and don’t most gardeners grow beets? Well, not the one sitting at my table. He promptly said, “Beets are the one vegetable I don’t eat” and proceeded to give me the dirt comparison. Great – of all the vegetables on the planet I pick the one he didn’t eat. Of course I said he didn’t have to eat them, but he decided to try them anyway. The verdict? Whatever that means! Now I make sure to grow enough rows to be able to freeze beets in small packages to last me through the winter. 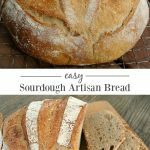 Though I only serve them to people I know will enjoy them – I don’t want to waste them. 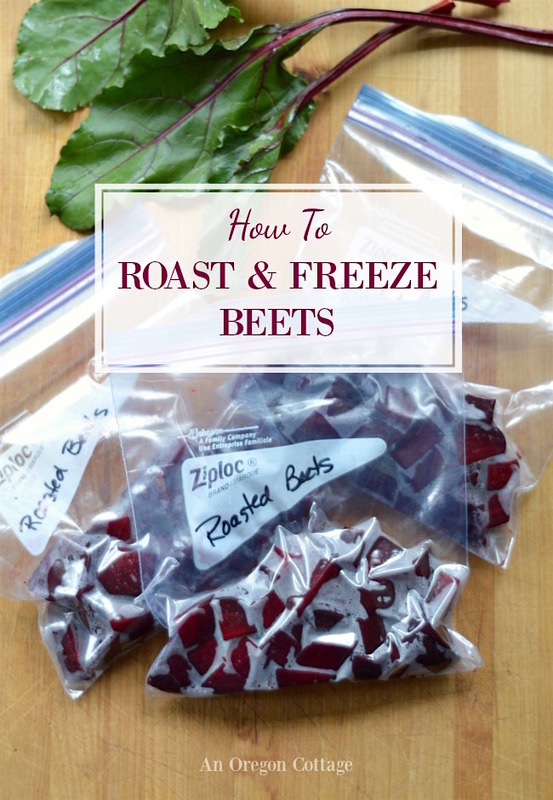 I’m providing a step-by-step tutorial to prepare, cook, and freeze beets because I didn’t know how to prepare them when I first started growing beets and I’m pretty sure that there are people out there who may be as clueless as I was. Of course, this is just one method for cooking beets, but many of these steps are the same no matter how you decide cook them. 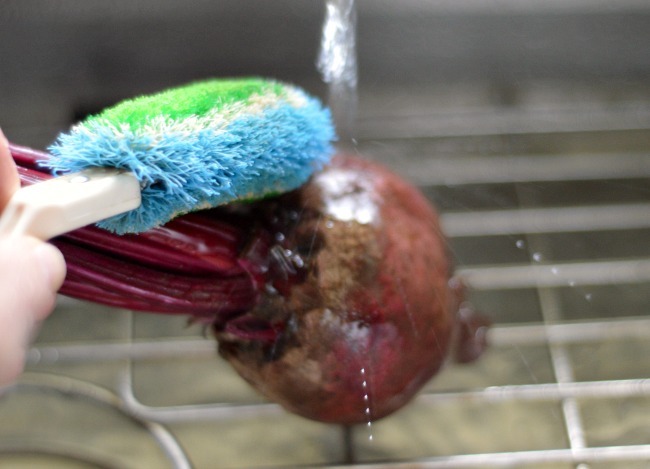 Wash the beets thoroughly with a vegetable brush in order to get all the dirt off. 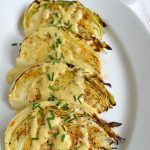 (Speaking of dirt, one of the reasons I don’t get the dirt comment about beets is because there are lots of other vegetables like carrots and potatoes that grow in the dirt too, and they aren’t described that way…). Trim the greens off, leaving about an inch of the tops. Trim the roots as well. 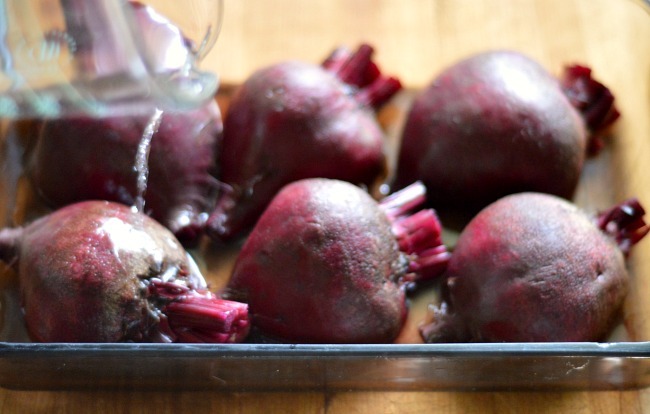 Place the beets in a shallow baking dish and pour in about 1/4 cup of water. I suppose this isn’t true “roasting” like when we toss vegetables with olive oil (which you can do with beets, by the way… they get nice crispy edges which is great for that application, but not what I want on a salad…), but it’s like roasting beef, I guess. 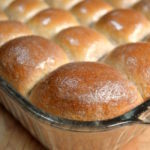 Or is it oven braising? We’ll just stick with roasting for now. 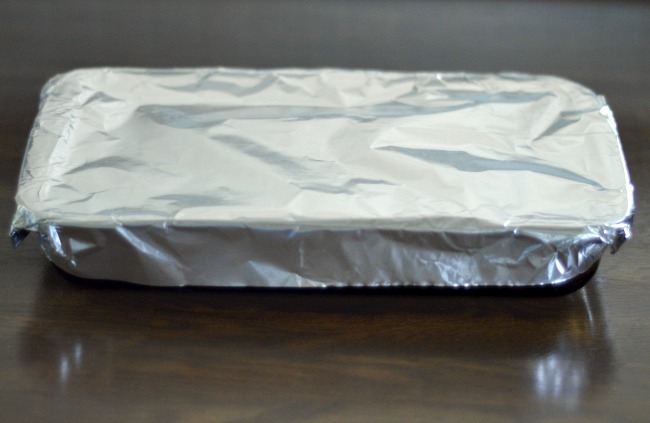 Cover well with foil and bake for up to an hour, depending on the size of the beets. 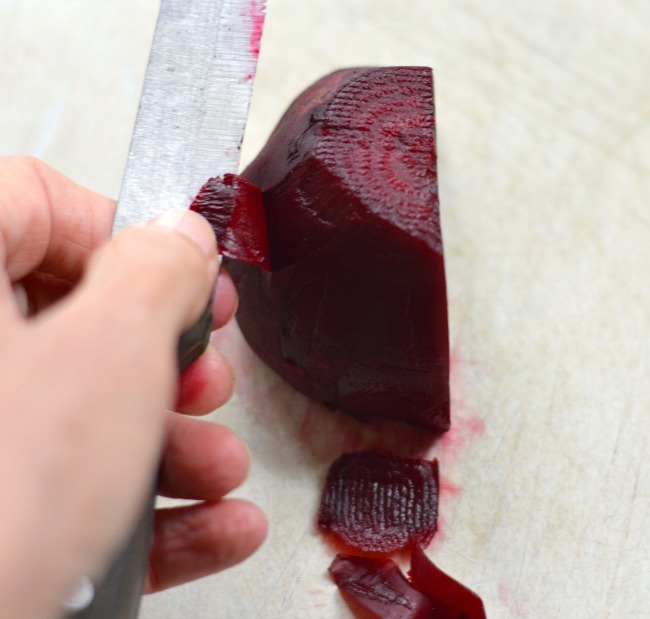 Check doneness by inserting a small knife into the thickest parts of the beets. The beets pictured were fairly large so I cut them in half to speed the cooking time (small to medium beets can be left whole). They were done in about 45 minutes. Let cool until you can comfortably handle them. Cut the rest of the tops and bottoms off and skin the beets by pulling with a small knife. Some directions say to put gloves on and “rub the skins off” but that hasn’t worked well for me, but you do what works for you. And I don’t wear gloves- I just wash my hands afterwards and don’t have a problem with staining. 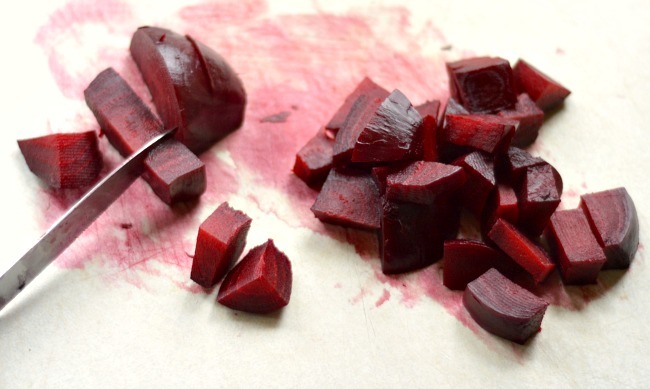 Cut the beets into chunks or slices- however you want to serve them later. I like chunks that are easy to add to a salad. 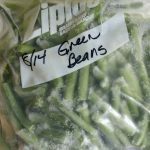 Place them in a freezer container, label, and freeze. I remove the air from my freezer baggies with a straw and it keeps most of the frost out of the packages. Try to use the frozen beets within 6-9 months for best flavor. One time, though, a few baggies got shoved in the back of my freezer and I found them a year later. I served them anyway and was shocked that they were still pretty tasty. However, a baggie I found after 1-1/2 years didn’t fare as well and the beets were shriveled and soggy. Of course this was before I had the chalkboard freezer organizer which helps me keep better track of what we have for planning menus and using up food. 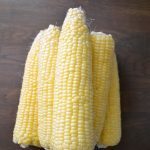 *Updated to add: what I mean is that there is natural sugar there (like in corn, too) that they then work to scientifically increase to breed varieties that produce more. 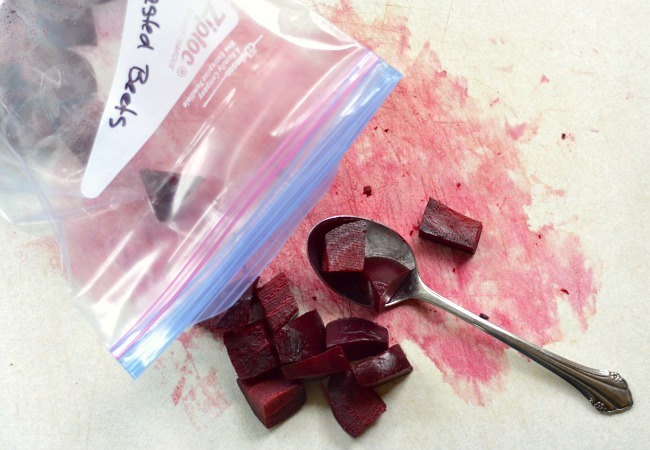 Click the arrow for storage tips & a full printable recipe to roast & freeze beets! 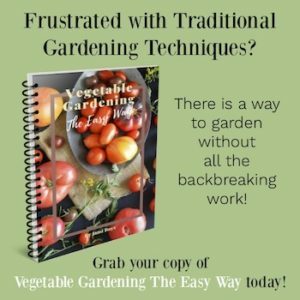 Do you think this would work the same for boiled beets? Hi Jami. I toss my cooked beets with olive oil & spices. They store nicely in the refrigerator for up to a week this way. When cooking them to freeze, should I add the olive oil & spices before freezing or after? Thanks. I’d probably wait until after, but you can do a test of two, one with and one without to see which you like best. I wish she would say how to check for doneness. I can stick a knife in a raw beet. That doesn’t mean it’s done. 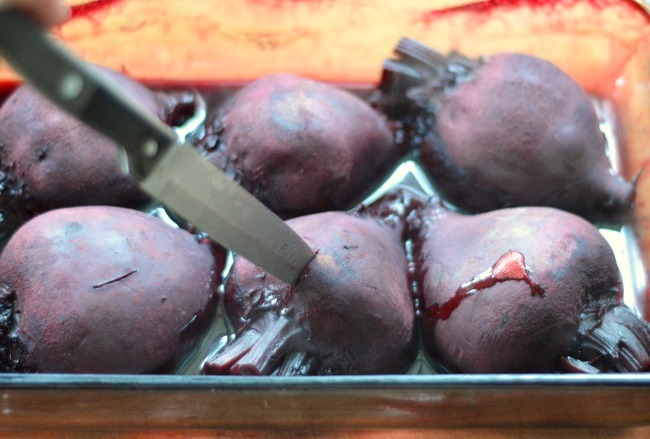 Just sticking a knife in a beet doesn’t tell me a thing. When I stick a knife in a steak I look for the color I want, I’m not just sticking a knife in it. When I stick a toothpick in a cake I look to see if it comes out clean, not just stick a toothpick in a cake. Get my drift? Testing doneness of root vegetables is often done with a knife – I do this with potatoes, carrots, etc. While a knife can be put in these when they are raw, it doesn’t go in smoothly or far and takes quite a bit of pressure. When they are tender and cooked through, the knife slides in with almost no pressure. I know of no other way to test root vegetables other than to cut a piece and eat it. The knife test seems easier to me. Sorry if I missed it. Do you have a recommendation for thawing these out. 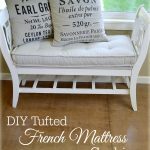 Are there any method that result in an undesirable texture? Thanks! I haven’t had any issues, Holly, I just defrost in the fridge or in warm water – it doesn’t take much. 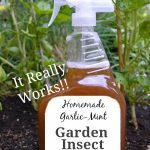 Hope that helps some!